The kokanee have moved down to deeper in the water column. They are schooling in the main lake in 60-90′ over the old river channel. 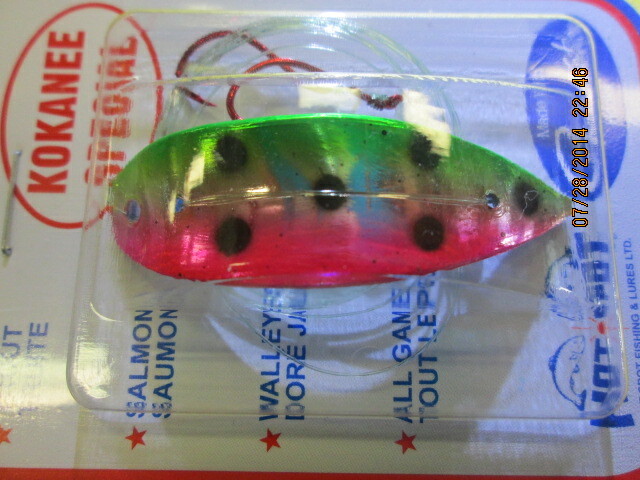 When fishing in deep water, an angler must take into consideration the visibility of their presentation and how it might appear to the fish. As the light penetrates the water it looses intensity the deeper it goes, and eventually becomes nonexistent. Different colors will be more visible than others at various depths. To keep it very simple, darker colors work best in dark water. 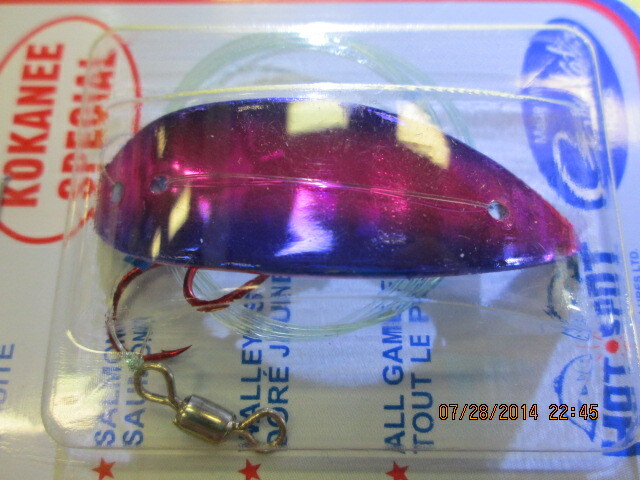 Black, purple, and blue are all good choices for deep water trolling. Another important factor is sound, vibration and water displacement. 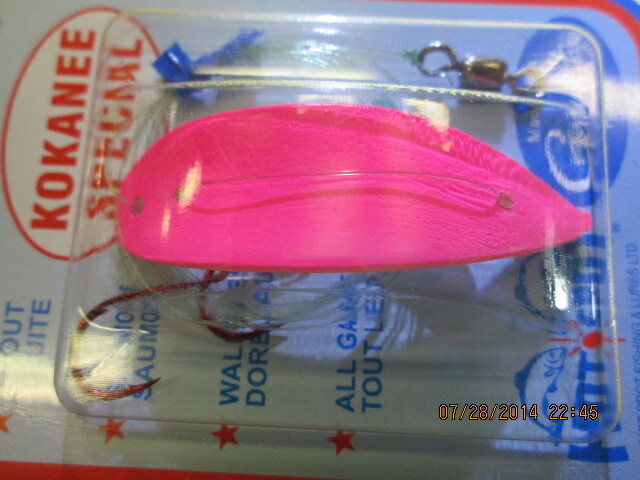 Bigger, bulky lures will displace water and cause a disturbance that attracts fish. The side-to-side movement of an Apex is a very enticing action that will draw many strikes. As the season progresses the kokanee become bigger. They also become much more aggressive as they start to turn, and move upriver to spawn. 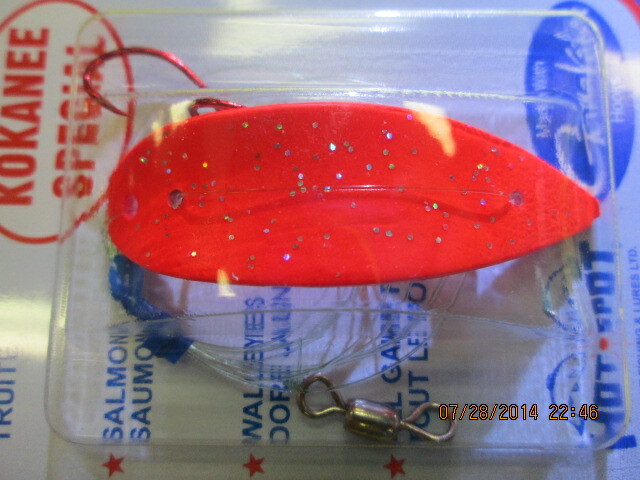 The larger size Apex will aggravate the larger kokanee. Last, but definitely not least. Be sure to apply plenty of scent or incorporate a Scent Chamber in your presentation. Sight, sound, vibration, water displacement and scent are all factors that need to be considered on each outing.